While the frozen food manufacturer KAWAN FOOD is forging ahead in the path of worldwide recognition, it is also putting up its first struggle against its imitations in Turkey. The trademark favored by those who seek practicality, flavor and freshness, succeeds in this struggle with an extraordinary decision. 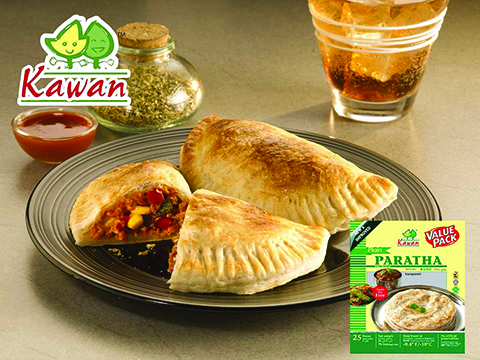 The trademark of KAWAN FOOD which has made its presence felt in food sector for more than 30 years, has managed to gain world’s attention for its frozen food products that embody a taste of Asia. Can frozen food be fresh? KAWAN FOOD feels quite confident in this regard thanks to the technologies it utilizes and alleges that food frozen by using correct methods can be as fresh as the very first moment. Initially, the trademark became industry-leading in its own country Malaysia, then has begun to forge ahead in the path of worldwide recognition, however, we have yet to see KAWAN FOOD in Turkey. Although registered in many different countries around the world, KAWAN FOOD has no application in Turkey yet. Taking its first step of trademark protection in Turkey with an objection, KAWAN FOOD has been acknowledged as justified in their objection by Turkish Patent and Trademark Office. status in any country that is a party to the convention notwithstanding the registration in other countries that are also parties to the convention. This expedient decision showed that acquiring trademark protection even without registration and use or without a certain level of recognition in Turkey is possible. This decision also shows the difference between a recognized trademark and a trademark that is recognized within the framework of Paris Convention. COPYRIGHT © 2018 Tüm hakları saklıdır. Site içerisinde yer alan yazılı ve görsel içerik Grup Ofis Marka Patent A.Ş. tarafından sağlanmaktadır. Kaynak göstermeden alıntı yapılamaz.